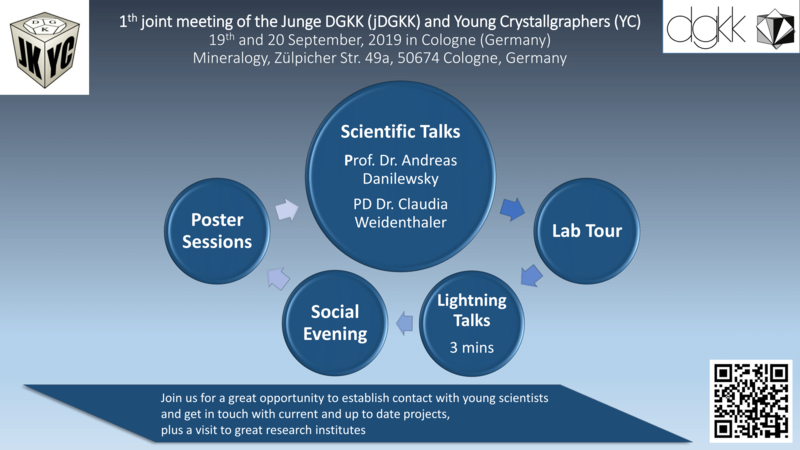 For the first time, the Young Crystallographers are planning a joint meeting with the Young German Crystal Growers jDGKK (junge Deutsche Gesellschaft für Kristallwachstum und Kristallzüchtung). The meeting will take place in Cologne between the 19th and 20th September 2019. The registration is open! Register now with this form. The Registration fee is 40€. Payment instructions and further information will be provided to all participants in the near future.